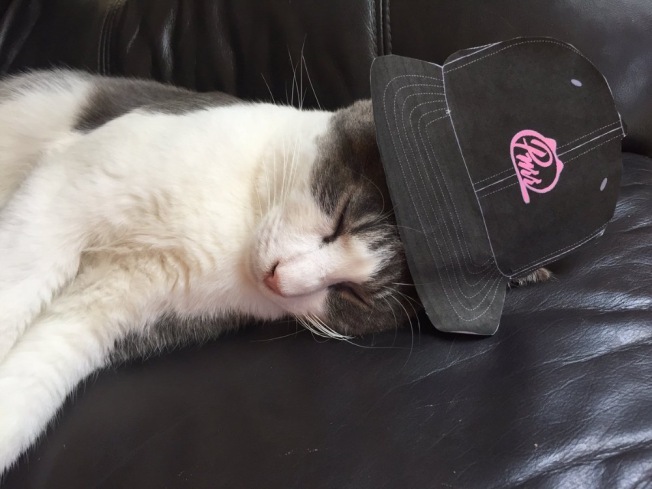 A cat lounges while wearing a Purr Cat Cafe hat. 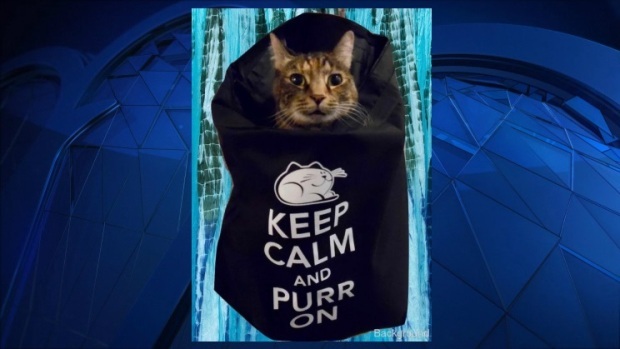 Boston’s first cat café won’t open until this summer, but those behind the Brighton business say it will be worth the wait. The management of PURR Cat Café is aiming for a June opening, but says the specific date will be determined by completion of construction and decorations. Crystal said the café will kick off with a two-week grand opening featuring a kitten party, cat yoga, and other surprises. The normal rate for the café will be $15 an hour. Patrons can enjoy the company of some 20 cats as well as a full café menu provided by Fuel, a coffee shop. It will offer amenities such as wireless internet access. Tickets during the grand opening period will be limited. Those who purchase “VIP pre-opening passes” will be able to stay longer than an hour and participate in special events. The café will serve as “a safe haven for homeless cats until they find their forever home,” according to the PURR website. Cats will be provided by a local animal rescue organization.